Paws and Learn does not recommend keeping reptiles as pets for a variety of reasons. Reptiles living with all but the most experienced caregivers are likely to suffer an early, inhumane death due to poor care. They are the only animals kept in captivity that do not typically reach or surpass their normal lifespan. The pet reptile industry contributes to depleted wildlife populations, damages ecosystems, and also poses a health risk to humans. Depending on the species, reptiles are either bred from wild-caught parents or captured directly from the wild. Wild-caught reptiles are typically grabbed from their environment and put in a bag with many others like it. They are kept like this for quite some time with no care as they’re transported, and the process is so stressful that approximately 50% die in transit. Those that manage to survive often arrive at the pet store with injuries or a weakened immune system. They're then housed with other animals and are exposed to their diseases. Approximately 90% of the wild-caught reptiles die within 1 year of being kept as a pet. This is due to a combination of factors, including trauma from being captured, stress from an unnatural lifestyle, and poor care from inexperienced owners. Several species, like North American box turtles, are being caught at a faster rate than they are capable of reproducing, resulting in depleted and endangered populations. It is a myth, often perpetuated by unknowledgeable pet store employees, that reptiles are ideal for those looking for a low maintenance pet. Reptiles have very specific environmental and dietary needs that are extremely difficult to replicate in captivity, even when they are born to captive-bred parents. In the wild, reptiles can vary their diet as they crave different nutrients. The diets they're offered as pets are often too simple for long-term nutrition and growth, and as a result many suffer a slow death from nutritional deficiencies. It's unrealistic to think an aquarium can adequately replicate the natural conditions they're accustomed to experiencing, even with artificial lighting, heat lamps and water filters. 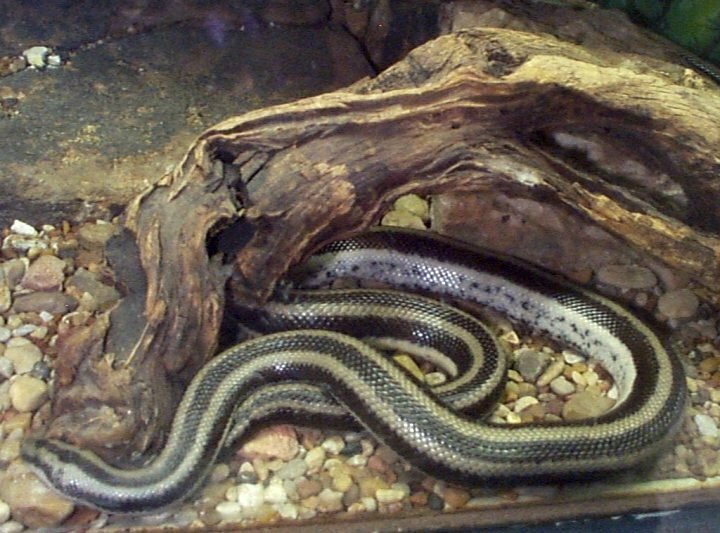 Wild reptiles rarely come into contact with their feces and uneaten food, and this exposure in an aquarium makes them susceptible to infections. It's extremely difficult to tell when a reptile is sick, and many veterinarians have little or no experience caring for them. Crocodilians, like caimans and alligators, are commonly purchased as babies yet rarely survive to adulthood when kept as a pet. Few people realize that most lizards, frogs and snakes should live a minimum of 10 years with proper care, and many species live several decades. For those reptiles fortunate enough to receive proper care, many species become dangerous or difficult to care for as an adult. Water turtles can live for several decades, and tortoises can live 100 + years, easily outliving their owners and requiring multiple dedicated caregivers throughout their lifetime. Iguanas can grow to be 5-6 feet long within 5 years, and pythons can grow over 15 feet and 150 pounds, capable of killing humans and especially small children. As many as 90% of reptiles are natural carriers of Salmonella bacteria and don’t show sign of illness. It can be transmitted to humans through direct contact like handling, or indirect contact such as touching contaminated surfaces in the home. Young children, pregnant women, the elderly and those who are ill are especially susceptible to infection. When owners find themselves unable or unwilling to care fortheir reptile any longer, it’s often very difficult to find them a new home. Most shelters are ill-equipped to handle the special care they require so they are often euthanized upon intake. Pet reptiles should never be released to the wild because they often die of starvation or exposure, and if they survive they can introduce new diseases and parasites to the native population and easily unbalance the local ecosystem. The following reptiles should not be considered by those with little experience due to a variety of factors including size, origin, potential for aggression, tendency to have parasites, or strict dietary and environmental needs.